The Luther College Concert Band performed at an outdoor venue in Green Valley, Arizona on March 25 as a part of their spring tour. The Luther College Concert Band, under the direction of Director of Bands and Associate Professor of Music Joan de Albuquerque, spent their spring break touring the Southwest. The band’s send-off concert was held at Advent Lutheran Church in Maple Grove, Minnesota on March 23. Since this concert was in the Midwest, they were cheered on by a number of Luther alums. The Concert Band then traveled to Community Performance & Art Center in Green Valley, Arizona on March 25; Ascension Lutheran Church in Paradise Valley, Arizona on March 26; Lord of Life Lutheran Church in Sun City West, Arizona on March 27; Palm Desert High School in Palm Desert, California on March 28; and Calvary Lutheran Church in Solana Beach, California on March 30 before returning to campus on Monday, April 1. Interim Coordinator for Music Marketing and Tours Karen Martin-Schramm was instrumental in planning the tour. The tour program included “Rocky Point Holiday” by Ron Nelson, “Be Thou My Vision” by David Gillingham, “Paris Sketches” by Martin Ellerby, “Scherzo: Cat and Mouse” by Robert Spittal, “La Procession du Rocio” by Joaquin Turina and transcribed by Alfred Reed, and “Masque” by Kenneth Hesketh. In Concert Band tradition, every performance ended with “Who Puts His Trust in God Most Just” by Johann Sebastian Bach, arranged by James Croft and “Stars and Stripes Forever” by John Philip Sousa. The Luther College Concert Band toured in Arizona and California during spring break, with stops in Green Valley, Arizona; Paradise Valley, Arizona; Sun City West, Arizona; Palm Desert, California; and Solana Beach, California (in order according to performance dates). The QTC Horn Quartet, comprised of Concert Band members Luke Berkley (‘20), Kyli Kurtenbach (‘21), Leah Wittenberg (‘20), and Emily Stifter (‘20), were featured soloists on the tour with their performance of “Konzertstück for Four Horns and Band” by Robert Schumann, arranged by Leonard Smith. One challenge with this tour being outside the Midwest was advertising, as tour concert audiences are often filled with Luther alums. New venues can also make performances challenging for the 61-member band. “Some of the performance spaces were very tight and a little out of the ordinary for setup, so it definitely challenged our ability to adapt to new sounds and settings,” Stifter said. 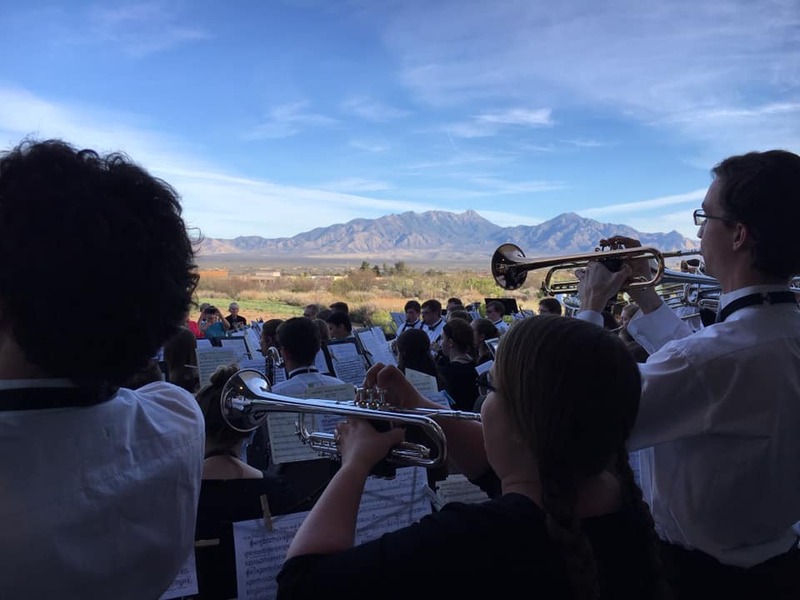 On March 25, the band performed an outdoor concert at the CPAC in Green Valley, Arizona, which Concert Band Treasurer Anna Hug (‘20) thought was a unique opportunity. Stifter thought that the tour was a success and an important bonding experience for members. The musicians enjoyed a free day to explore San Diego on Friday, March 29. They also relaxed on the beach in Encinitas, California during their last two days of the tour. Concert Band will perform their homecoming concert on Tuesday, April 9 at 7:30 p.m. in the Center for Faith and Life Main Hall.